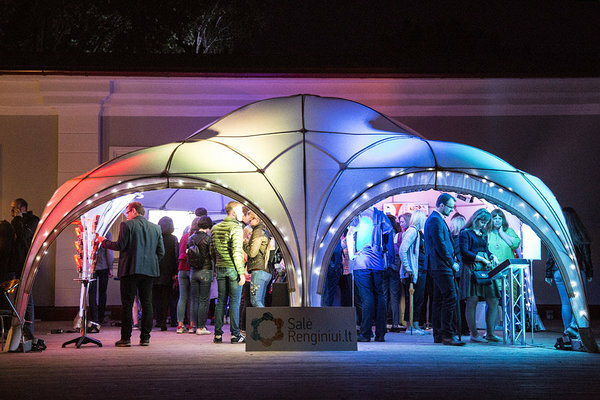 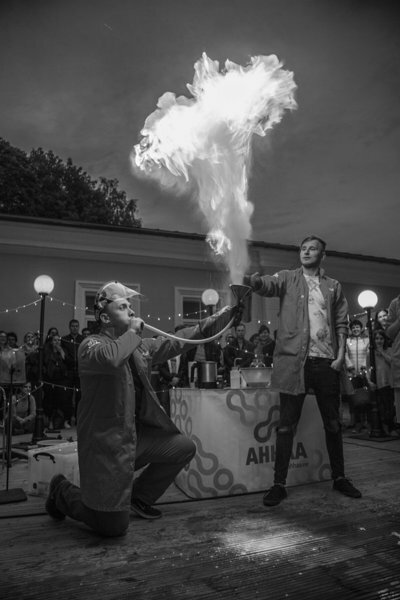 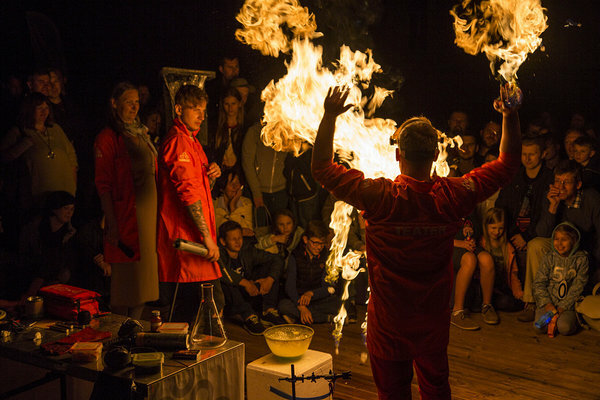 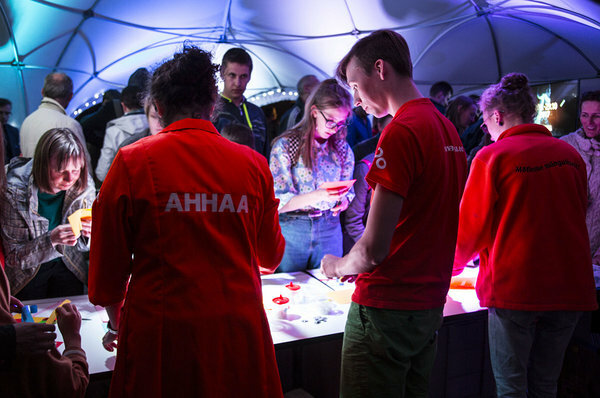 On July the 16th Science Centre AHHAA had the pleasure to visit Vilnius and participate in its famous event "Kultūros naktis" (Culture night). 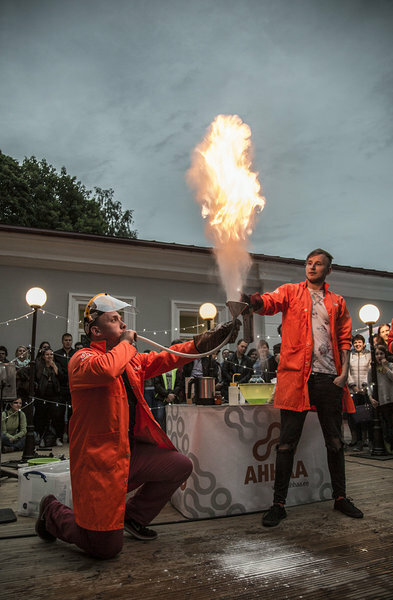 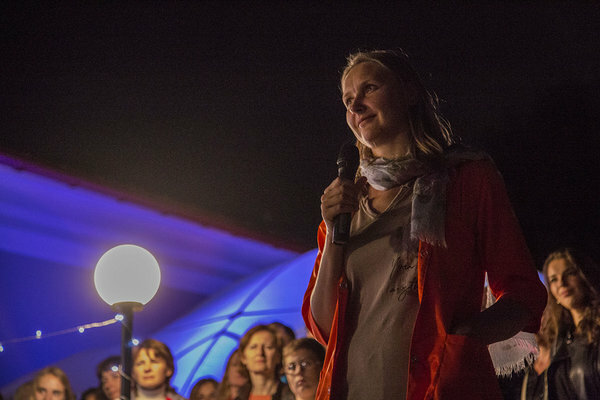 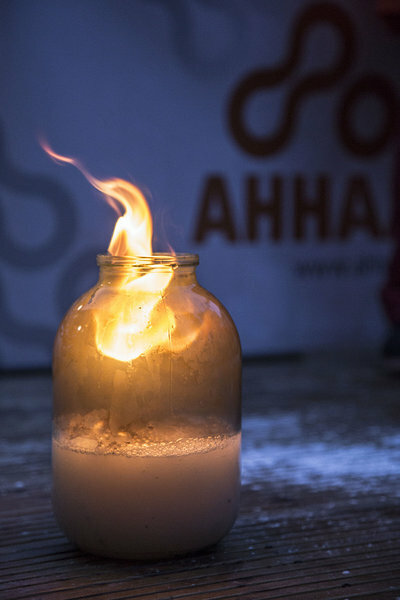 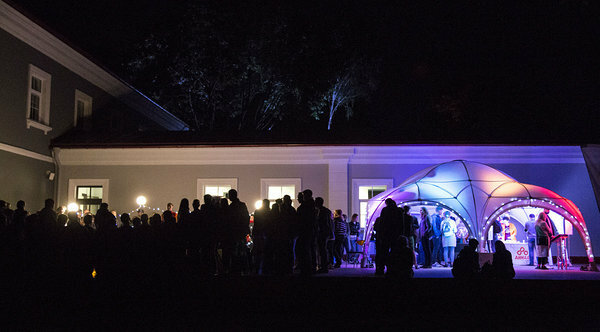 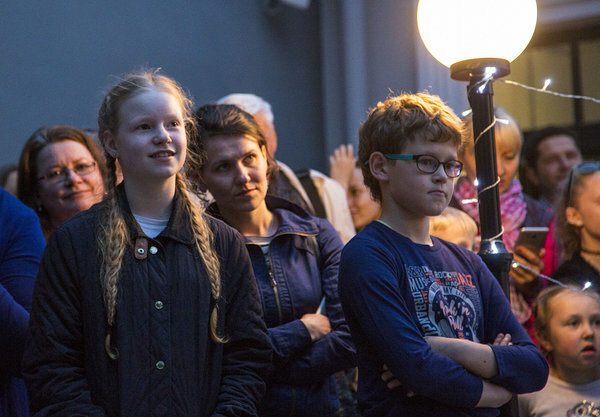 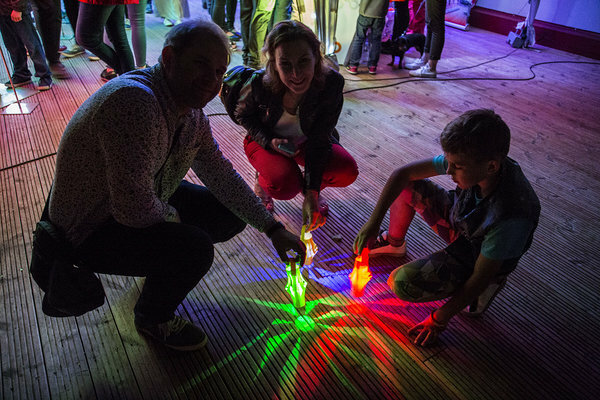 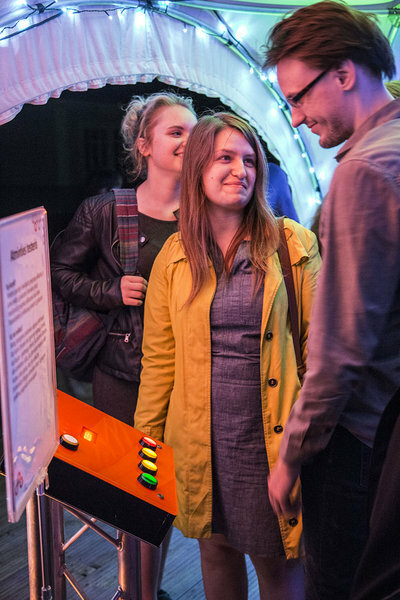 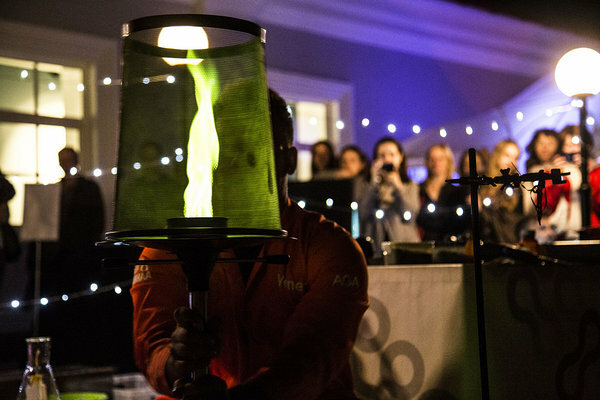 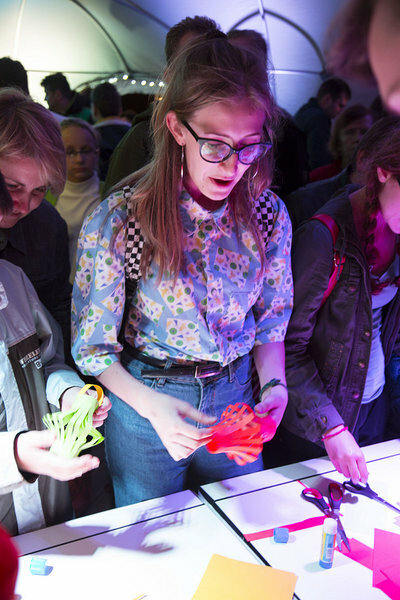 The Lithuanian capital was filled with different installations and activities, which lasted until midnight and thrilled the eye and mind with wondrous light games. 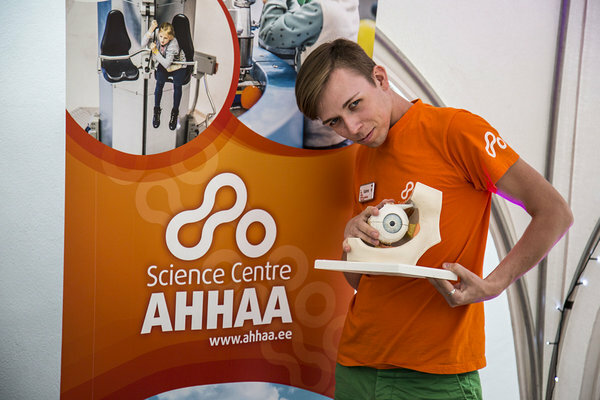 AHHAA science tent was this time in the Vilnius Technology Park. 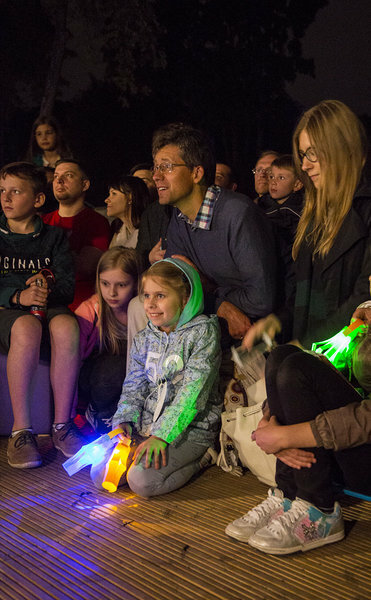 For the local science fans we took with us the exhibits that can be best to be viewed in the dark. 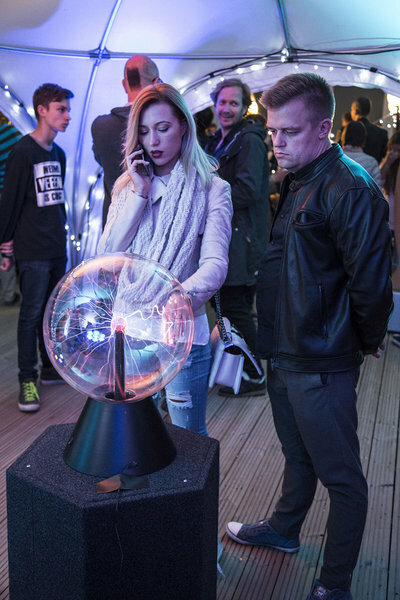 Among others were a stringless harp, plasma sphere and a light ray beam breaker. 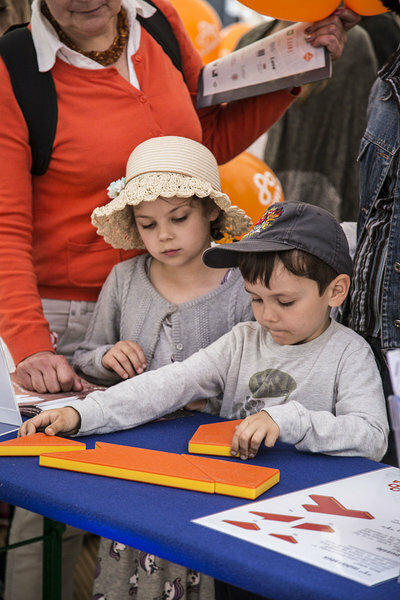 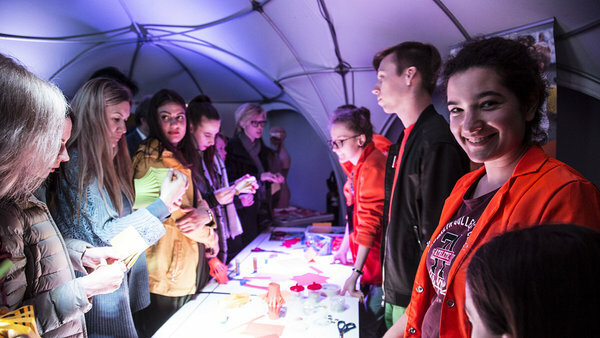 Visitors had the chance to participate also in workshops and watch great science shows!